Gettysburg Address - and so much more! While a graphic novel isn't technically a picture book, I'm going to toss this review into the NFPB review ring. 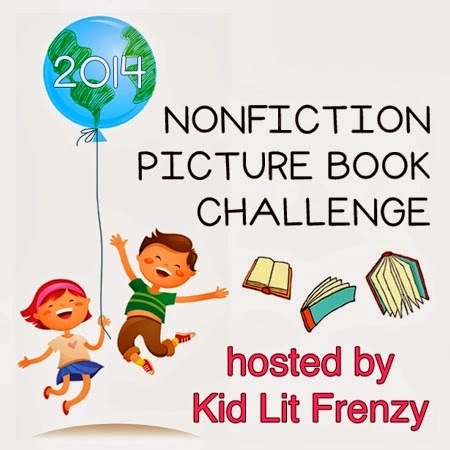 Be sure to visit Kid Lit Frenzy every Wednesday for reviews of new nonfiction picture books and links other blogs that post reviews each week! Most of us can recall "Four score and seven years ago," but much of what we know about this historic speech, and what it has to say about the Civil War itself, has been lost since we left grade school. The Gettysburg Address offers a revolutionary way to experience Lincoln's masterwork. Striking at the underlying meaning of Lincoln's words, it uses the Address to tell the whole story of the Civil War. We see how bitter seeds sown by the Founding Fathers sprouted into a bloody war, and ultimately blossomed into the progress and justice of the Civil Rights era. The book depicts pivotal events that led to the upheaval of the secession crisis, the crucial Battle of Gettysburg, and the conflict's still-unfolding legacy with firsthand accounts from Americans from all walks of life: slaves, soldiers, citizens, and, of course, Abraham Lincoln himself—the most transformational president in U.S. history. 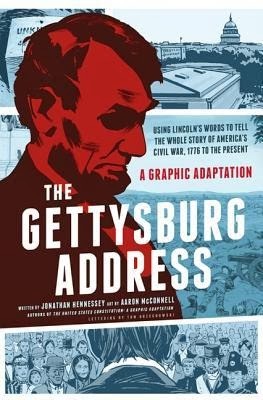 Writer Jonathan Hennessey and illustrator Aaron McConnell illuminate history with vibrant, detailed graphics and captions that will give you a fresh understanding of this vital speech, which defined America's most tragic war and marked a new path forward. 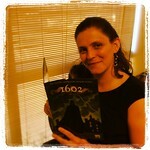 Readers of this blog probably know me best as a lover of speculative fiction, but history is another passion of mine. I even had a history minor in college (though I focused more on ancient and medieval history, not American). One of the things that drives me crazy about social studies instruction in upper elementary and the start of middle school is the extreme oversimplification of the cause and effect of major events. The Gettysburg Address does a wonderful job avoiding all of that simplification without making it too complicated for non history majors. The address itself is cut into little snippets, and each snippet frames a discussion about the events that lead up to and follow from the Civil War. 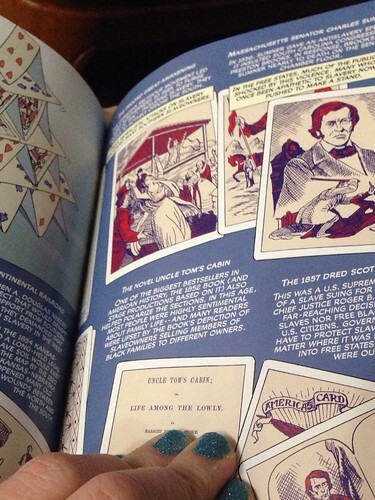 Text alone might make that feel dry, but the drawings and colors bring American history to life in an amazing way. Most of the pages have fairly traditional panel styles, but it is varied enough across the book to keep my interest. Many panels are text heavy, but it IS a history book after all. The illustrations emphasis the individual people impacted by the events of the Civil War, which helps keep it interesting. Graphic novels are the perfect addition to more traditional texts in classroom libraries and history classes. While it is called The Gettysburg Address, this is about way more than just the Civil War. Seen through the lens of the essential conflict between the ideals in the Declaration of Independence and the guaranteed rights of the states in the Constitution; American History just got a lot more interesting. Middle or high school American History classes. Anyone who loves American History. I plan to use portions of this text with my fifth graders when we read and discuss the Gettysburg Address, but I think most of them would be overwhelmed by reading the entire book at once. 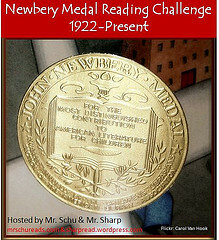 Some of them will definitely want to read the rest, but most should wait until they know more about American History.